China's state-owned JAC Motors (Anhui Jianghuai Automobile Group) expands its 10-year long partnership with Hefei Guoxuan High-Tech Power Energy battery manufacturer, looking for 4 GWh of batteries in 2019. 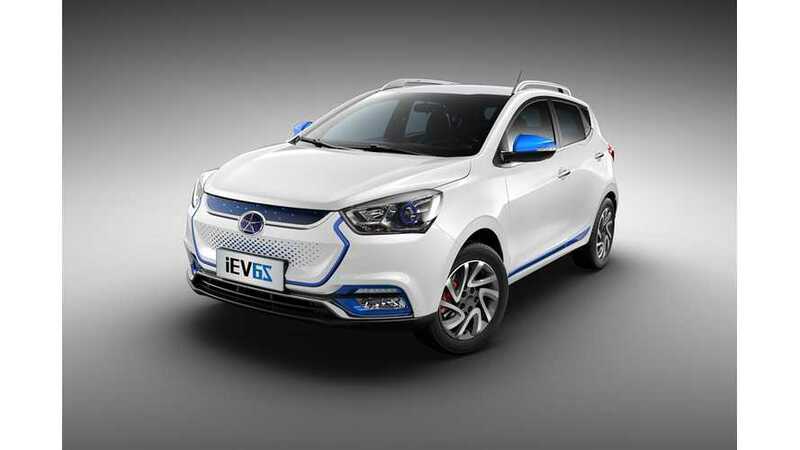 JAC Motors flagship all-electric car, the JAC iEV E/S is currently the eight best-selling plug-in model in the world (available only in China) with over 30,000 sales during the first nine months of 2018. The company is also partnering with Volkswagen on some New Energy Vehicle projects. Chevy Bolt, Baojun E100 Push GM Global Plug-In Sales Ahead Of U.S.
Guoxuan will be supplying JAC with a battery system rated at 140 Wh/kg (it was 95 Wh/kg in 2010), which doesn't sound even close to a state-of-the-art system, but as long as the price is attractive there could be an application for such plug-ins.